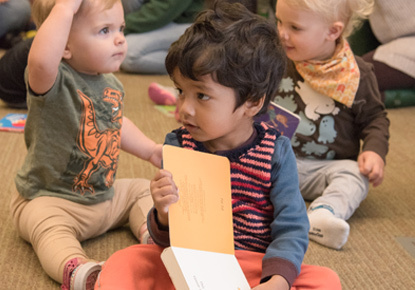 Thursday, Sep. 6, 2018, 10:30 – 11:15 a.m.
Music Together® classes introduce children to basic musical, concepts through songs, rhythm rhymes, movement, and instrument play. The classes are relaxed and informal. Children ages birth to age 5 are welcome to attend. Library events and programs are free and everyone is welcome. Registration is not required, but space will fill up quickly. Arrive early to ensure your spot.